This course is supported, in part, by an educational grant from GC America. As restorative materials, adhesives, and cements continue to evolve, change, and improve it becomes more difficult for restorative dentists to keep up with the latest advances. With increasingly higher patient expectations for long term clinical success, it is important that the dentist have an understanding and working knowledge of these materials in order to make sound decisions. This half-day lecture will discuss factors affecting the selection of indirect restorative materials that will satisfy the aesthetic and functional goals of the patient as conservatively as possible. Cases will be used to demonstrate the use of these materials, bonding agents, and cements in different clinical situations. The factors affecting material selection. Combining aesthetics and function with emax lithium disilicate. Advantages and disadvantages of full contour zirconia. The benefits of the new universal adhesives. Which cements to use when and why. How to treat the tooth and the restoration when conventionally cementing or adhesively bonding. The long-term benefits of bioactive cements. Thomas E. Dudney, DMD, is a 1977 graduate of University of Alabama in Birmingham School of Dentistry. He has served in the past as the Clinical Director for the Aesthetic Advantage hands-on programs taught by Dr. Larry Rosenthal at New York University and the Eastman Dental Clinic in London. Presently he is the clinical director of the Pacific Aesthetic Continuum (PAC) hands-on programs. 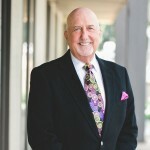 In addition to teaching hands-on programs, he has presented workshops and lectures at dental meetings and has authored several articles on aesthetic and restorative dentistry. He is a member of the American Dental Association, the Alabama Dental Association, and the American Academy of Cosmetic Dentistry. He is also a Fellow of the American Society for Dental Aesthetics and a Diplomate of the American Board of Aesthetic Dentistry. Thomas E. Dudney, is not associated with, employed by, nor consults for, any manufacturer, supplier, or retailer of dental instruments or materials.